Kik chat app is the latest introduction in the communication world. This universal messaging app has been adopted by many of the established businesses in the world. Their recently released chatbots have seemed to gain traction among businesses and users. These chatbots offer several types of benefits, especially for small business. These bots can help a firm replace some of their existing customer service and sales representatives. This leads to considerable annual savings and improved customer – business interaction. With the emergence of chatbots, the interest of people in these bots has skyrocketed. This has made people to use messenger applications more than social media networks that have been the prime marketing channels for a long time. Chatbots are basically text-based messaging services that are driven and controlled by artificial intelligence. Due to this technology, it lets people interact with different companies on the chat platform. These chatbots are made to guide users and help them in accomplishing the different type of tasks. Chatbots are classified into different categories and some of them are a lifestyle, entertainment, games, etc. Due to these bots, not only the user gets benefitted, but it also helps a retailer to make more sales that lead to the generation of more revenue. Thus, chatbots are not just for fun, but they also serve immense functionality to business. Designed to meet the needs and purpose of consumers, these bots are most suited to meet the present need of customers for increased convenience. Chatbots are very simple to build and use. It does not require any installation of a native app. This makes them a potential and massive opportunity for business and brands to reach to a maximum number of people quickly and effortlessly. Chatbots are function based applications that work on rules. They are restricted to a specific set of commands. The advanced forms of chatbots are powered by artificial intelligence that helps them understand the language and user interactions. 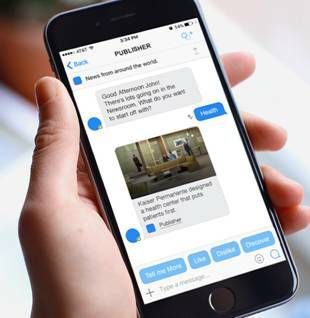 Chatbots provide functionality within chat and messaging applications. How do chatbots enhance the performance of a business? Chatbots are a very effective marketing option for small business owners. By building a bot, they can save a lot of time and money. Below are listed some of the common benefits that a bot has to offer to business. When interacting with a chatbot, customers get an impression as though they are dealing with a human representative. Chatbots are not only cost efficient, but also very efficient than other marketing channels. You can get ample Kik Resources that help you know more about the concept, working and use of Kikbots for business. Being pre-programmed, chatbots can easily engage in conversations on complex topics. They can provide instant resolution to the queries of the customers. Though chatbots are known for text-based communication, they can also present graphics to consumers. This can prove to be very useful for businesses to showcase their products and services. Chatbots are an affordable and simplified way to gain access to a large volume of audiences. Chatbots can offer a wide range of services from scheduling and execute processes that require the hiring of specialist assistants. Chatbots are also capable of offering assistance and training to serve customers in the best possible way. Chatbots have immense power to revolutionize entire e-commerce industry. They are very advantageous to any size of business. Thus, it is a wonderful way to help a business grow, flourish and attain higher levels of success in an affordable and reliable way.